The BPRC and NJ Safe Routes to School Program are managed by the Voorhees Transportation Center’s (VTC)Pedestrian and Bicycle Practice Group. VTC is a national leader in the research and development of innovative transportation policy and is located within the Edward J. Bloustein School of Planning and Public Policy at Rutgers University. Advance leading-edge bicycle and pedestrian research through the sharing of innovative ideas and best practices. 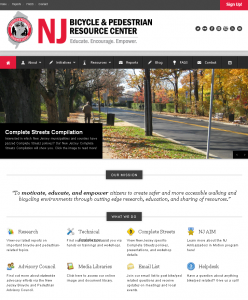 Use the Center’s research program to shape future policy in New Jersey. Build and strengthen partnerships and collaborations at state and national levels. Provide training and education that help transform places and behaviors. Promote a culture of courtesy, acceptance, and safety for all modes through strategic outreach and technical assistance.